The U.S. 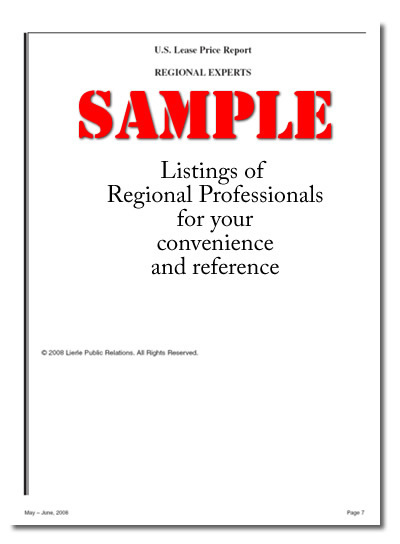 Lease Price Report is published six times per year by Lierle Public Relations. The oil and gas lease data reported in the U.S. 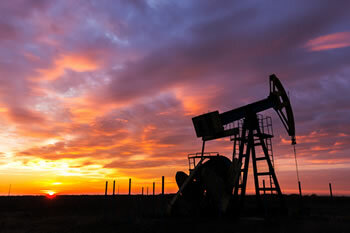 Lease Price Report is compiled from three basic sources, including private transactions, federal oil and gas lease sales, and state oil and gas lease sales. 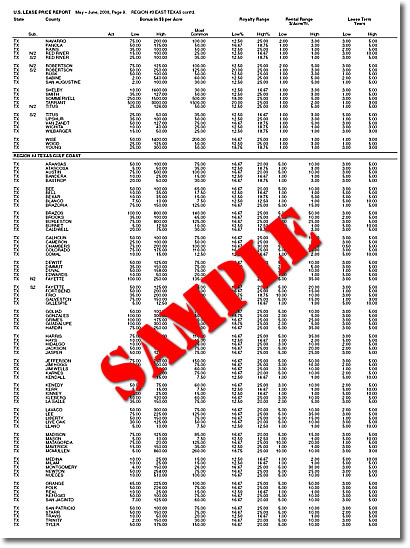 County by county information includes low, high, and most common price, royalty range, rental range, and lease term. The information is reported by region for ease of use. 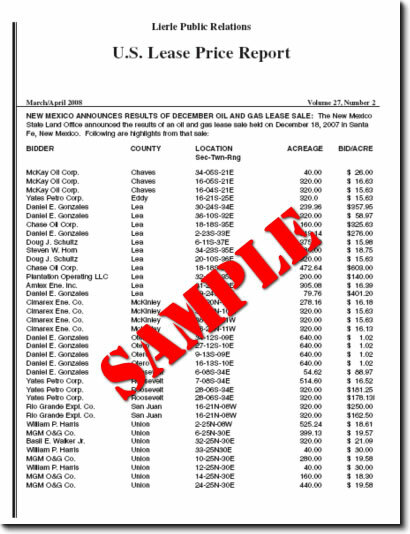 Each 26-page report includes detailed reports on the latest state and federal lease sales, including bidder, county, location (section/township/range), acreage, and bid per acre. Listings by Region, State, County with Bonus in $$ per Acre low, high, and most common, as well as Royalty and Rental ranges in low and high percentages. Click on the report below to see a full-sized PDF page from an actual report, or click here..
Oil and Gas Lease Sales announcements are included in the report. © 2018 U. S. Lease Price Report and Lierle Public Relations. All Rights Reserved.